Caroline, Kent, Queen Anne’s, and Talbot Counties are a significant part of the nation’s last great Colonial landscape. The views, the farms, the communities, the buildings, and even much of the population – those whose roots extend beyond the opening of the Chesapeake Bay bridge in 1953 – still evoke the nation’s Colonial and early American past to a remarkable degree. Beneath current roads and bridges lie original American Indian trails and river crossings. Plantation homes and property lines still mark the countryside. Country churches offer the timeless rhythms of worship. Small towns and villages reflect transportation and settlement patterns laid down from the beginning of European settlement. And many buildings built in the 18th and 19th centuries survive – a few even date to the 17th century. This is a landscape that reflects centuries of a thriving regional economy fueled by the riches of land and water, accessible by boat nearly everywhere and with level lands readily traversed and easily plowed. 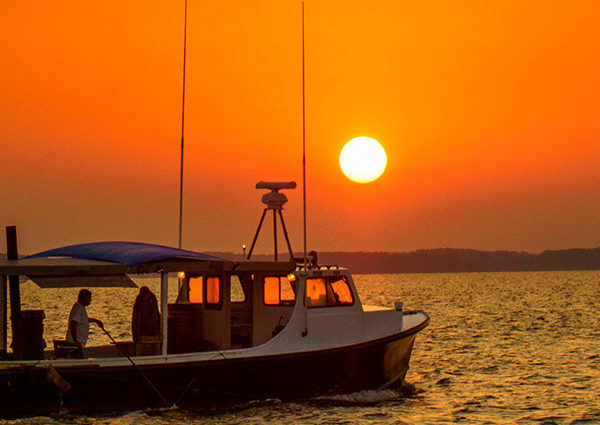 Significantly, the Chesapeake Bay is the reason much of this landscape has survived – the sprawling population boom experienced in much of middle Maryland west of I-95 out to Frederick County was constrained to the east by the Bay. Today, the four counties of the Stories of the Chesapeake Heritage Area are among Maryland’s fastest growing counties. The Maryland Department of Planning has estimated that 86,188 households will be added to the existing households in the nine counties of Maryland’s Eastern Shore by 2030. Communities, counties, and advocacy groups are working hard to respond to the pressures and changes such development can bring to transportation, schools, natural resources, water quality, drinking water, and other aspects of the quality of life found in any community. Some of the best rural planning, land trusts, and advocacy groups in the nation are to be found here, and 21 percent of the landscape is permanently protected through public ownership of parks and recreation lands and farmland conservation easements. The Stories of the Chesapeake Heritage Area’s Board of Directors, at a retreat on December 8, 2005, identified “Development that is out of character and scale and in areas that have traditionally been working landscapes” as the top threat to the visitor experience and the historic, cultural, natural, scenic, and recreational resources on which that experience is based. While seeking to maintain and extend the high quality of the visitor experience here, our efforts to preserve and protect such special resources are of great benefit to residents. With so many planners and advocacy groups focusing on land conservation and growth, the Stories of the Chesapeake Heritage Area has chosen to focus on the character of development as it affects the visitor experience. Addressing the location, design, and landscaping of development that does occur, in both town and countryside, is critical to preserving scenic and water views, wildlife habitat, and recreational experiences. Encouraging expanded use of historic preservation incentives and regulations where necessary is vital if owners are to maintain the historic character of region’s historic buildings and communities, and the landscape as a whole. Archeological conservation extends our scientific and historical knowledge through careful surveys of below-ground historic and pre-historic deposits, and recovery should be encouraged where such deposits must be disturbed. Cultural traditions enrich our quality of life and are part of what makes living and visiting here a distinctive experience. As communities and economies change, we must work to celebrate past traditions, encourage events that build our sense of community, and offer new venues and markets to support artists, craft workers, and performers.